We currently operate two vessels the EMMA C landing craft and the ANNIE E Eurocarrier 2209. Both vessels accommodate the employees and machinery to complete aquaculture tasks, moorings installations /maintenance and cargo transportation. 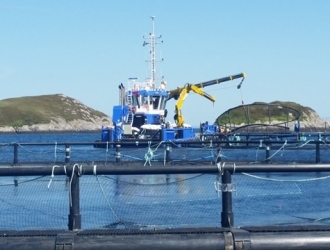 In addition to our work with Marine Harvest Scotland Ltd we are available for work with other clients. 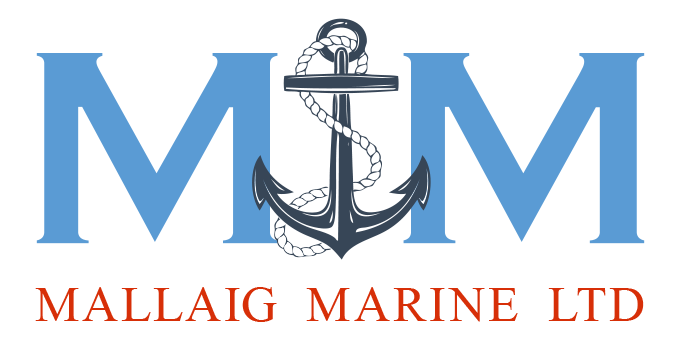 This time is limited and at a mutually agreed time to suit the client and Mallaig Marine Ltd. If you have enquiries please fill our web form and we will get back to you. 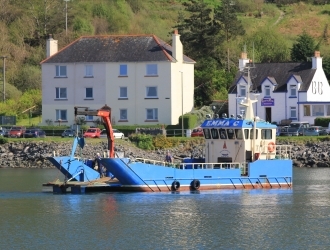 Mallaig Marine Ltd was established in March 2009 to facilitate the build of the “Emma C” landing craft in Nobles Girvan and was completed in July 2010 enabling the company to become fully operational. The “Annie E” new build was completed in June 2017 by Neptune Shipyards in Holland. This addition to the company is an exciting step forward as the capabilities of the vessel are greater allowing her to take on heavier work with the crane and winch and her towing ability is also a welcomed addition to the company. 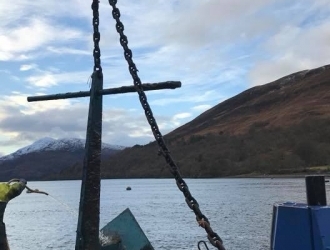 Company director Mr Donald McDonell benefits from more than 20 years of experience in the moorings sector and has offered advice and support to many marine and aquaculture operators regarding mooring installations, maintenance and the materials appropriate for the location. Installing pens, nets, moorings and also providing site support services. Private boat moorings, harbour moorings, pontoon moorings, cargo transportation. Commercial mooring installations for the aquaculture and marine industry. covered in our website and we will do what we can to assist you.